We excel in all areas of hairdressing for men and women – from children to older clientele. If you’re looking for a haircut, colour treatment or special occasion hair and makeup, we can help. Our stylists are experienced in the hottest new trends and techniques including hair extensions, straightening, balayage and Smartbond treatments. Their creative flair and expertise give them the unique ability to transform any look. The moment you walk through the door, our warm friendly team will make you feel welcome and at ease. Simply sit back, relax and enjoy a personalised hair and beauty experience, in a bubbly, upbeat atmosphere that has our clients coming back for more! The light, spacious salon and tranquil beauty room are perfect to relax, unwind and take time for yourself. We’re always looking to offer more beauty services too, so we’re open to hearing from suitably qualified therapists and beauty experts. 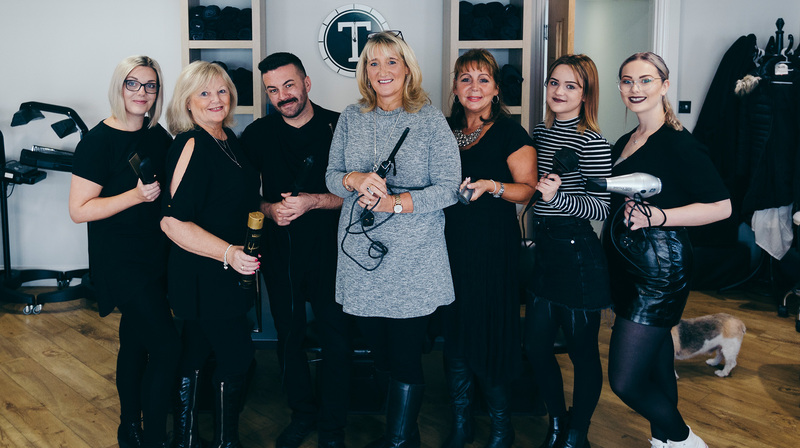 When Vicki Staite took over the salon in 2009, it underwent a complete transformation making it a modern, inviting space for clients to enjoy a wide range of hair and beauty treatments. In 2014, new shop signage added the final touch to the clean, contemporary feel. We care about you. We love to make our clients look fantastic. You can be sure we’ll offer warm, friendly, yet honest guidance and advice to help you look your best. That’s because we’re more than just a hair and beauty salon. Temptations is about delighting our clientele with the highest standards of professional styling and beauty treatments. When you leave the salon feeling wonderful, we know we’ve done our job!